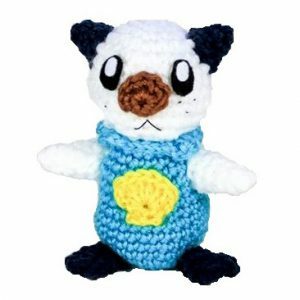 This Pokemon plush toy is hand-made from acrylic yarn and hand-drawn eyes. 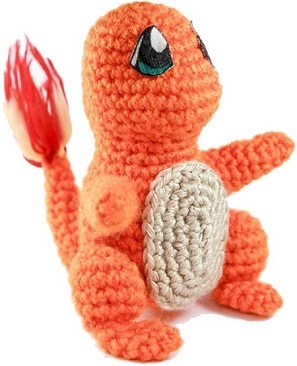 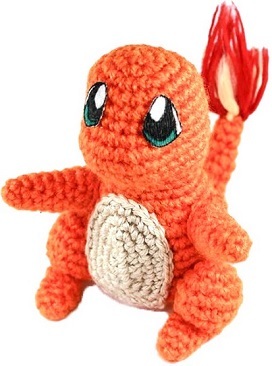 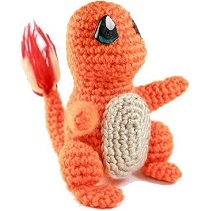 It stands approximately 4.5 inches tall, 3.5 inches wide, and has a smoldering but fuzzy flame on its tail. 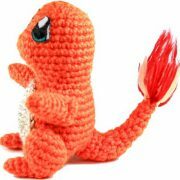 If not listed as in stock, please allow approximately 1-2 weeks for orders to be prepared before shipping. 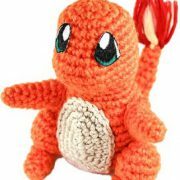 Shipping costs are $10 in Canada or $15 to all other countries. 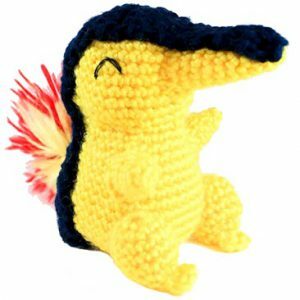 It’s time to get down and dirty: the mudfish Pokemon Mudkip is here! 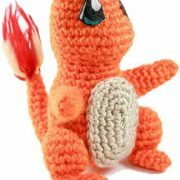 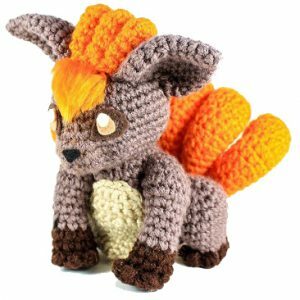 If you would like to crochet your own Mudkip, the pattern will be made available soon in the patterns section of my website! 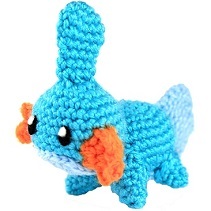 Did you know: The fin on Mudkip’s head acts as a radar that detects the flow of water.